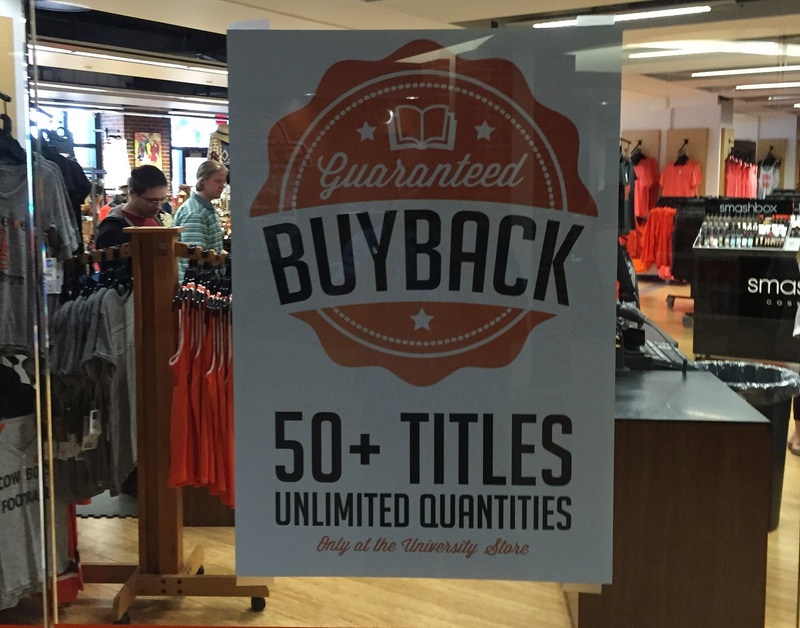 Oklahoma State University Store is offering students a guaranteed buyback value on select titles this term. The pilot program has already seen an increase in sales for a number of titles. For cash-strapped students facing the ever-increasing costs of higher education, buying textbooks at the beginning of the term is a bit of a gamble. Do they buy books now and risk being unhappy or surprised with their return at the end-of-term buyback? Do they wait until class starts before deciding they need the book, and risk sellouts on used copies and other cost-saving alternatives? Do they try to source their books online and risk a wrong edition or late delivery? The Oklahoma State University Store is replacing the gamble with a guarantee. For the first time this term, OK State students can take advantage of the store’s Guaranteed Buyback program. On more than 50 titles, students can leave the store knowing exactly what they’ll receive for their books (in resalable condition) at the end of the term. 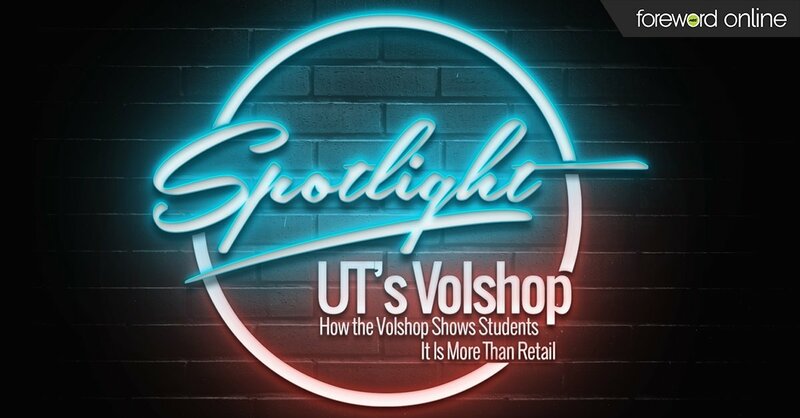 Book Department Manager Starla Marshall said the store had been considering implementing Guaranteed Buyback, “hoping we would capture a few more sales if students saw up front how much the book was really going to cost them." 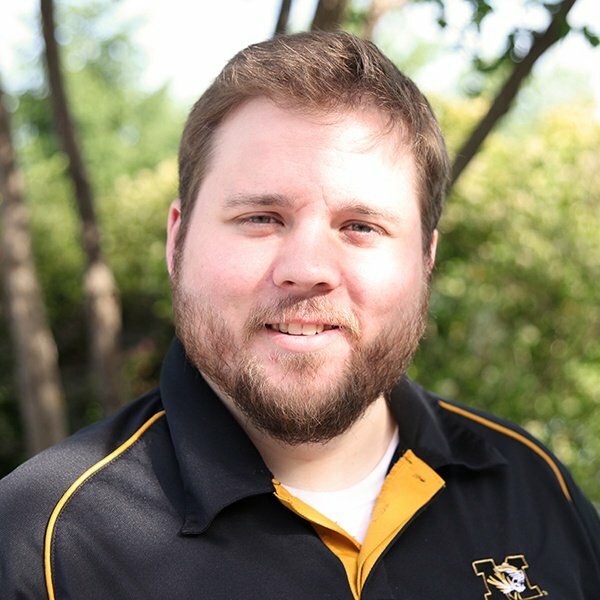 For its pilot program, the store offered the value of the rental quote as the buyback guarantee. 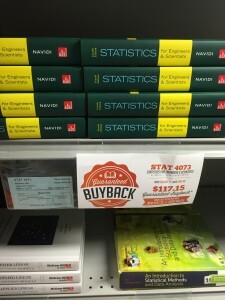 Shelf talkers are just of the many marketing materials the University Store produced for Guaranteed Buyback. Like with any promotion, Marshall felt that strong, effective advertising was integral to success. The University Store promoted Guaranteed Buyback on their website and on Facebook. 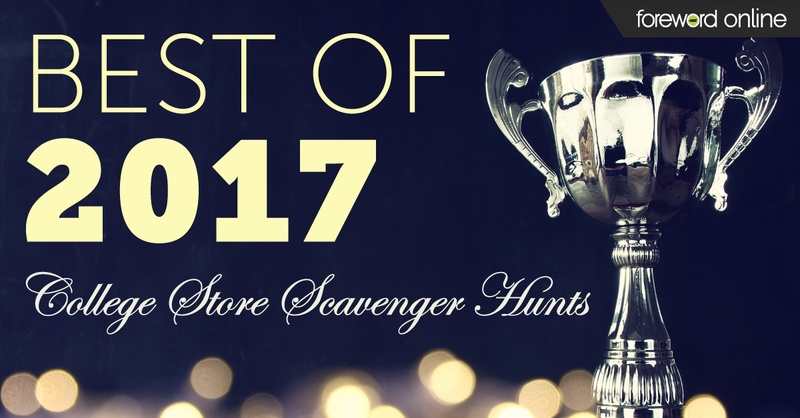 They also advertised in the student newspaper, sent emails to students enrolled in courses that adopted books with a guaranteed buyback value and produced in-store signage and shelf talkers to highlight qualifying titles. One in-store chart also outlined the new and used cost of the book, the guaranteed value at buyback and the actual cost of ownership after that buyback value was taken into consideration. While rush is still in full swing at the College Store, Marshall said sales had increased on about 19 of the Guaranteed Buyback titles. 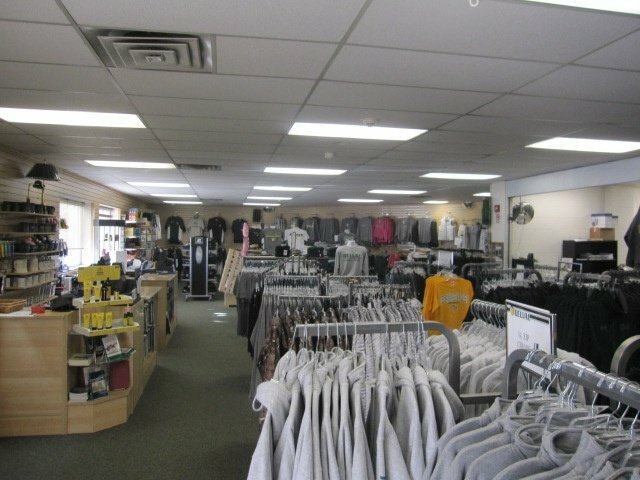 What Do Customers Love About DVU Bookstore?